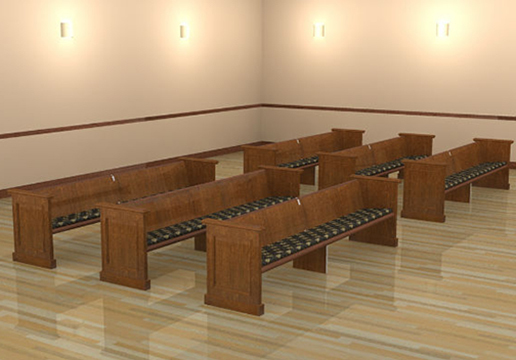 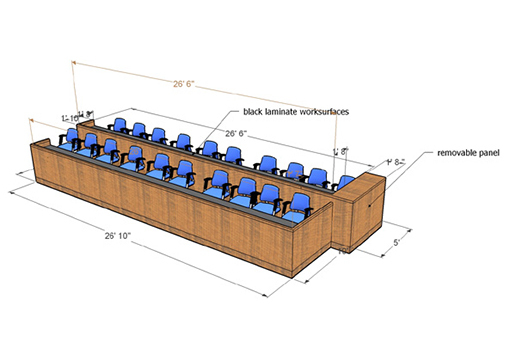 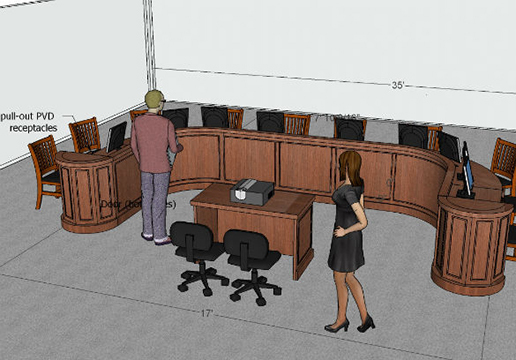 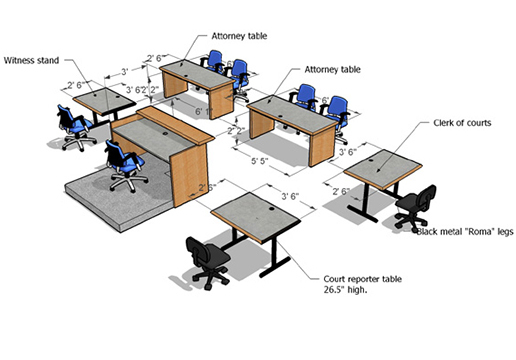 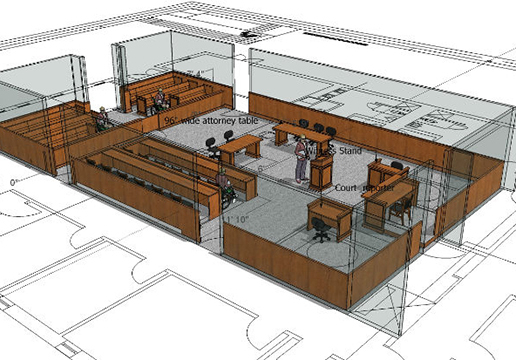 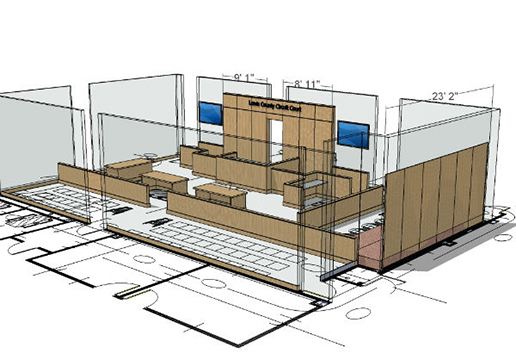 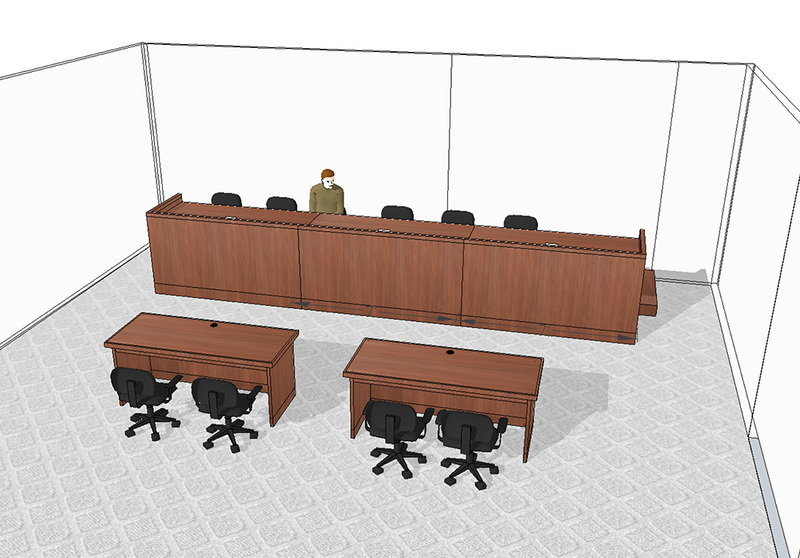 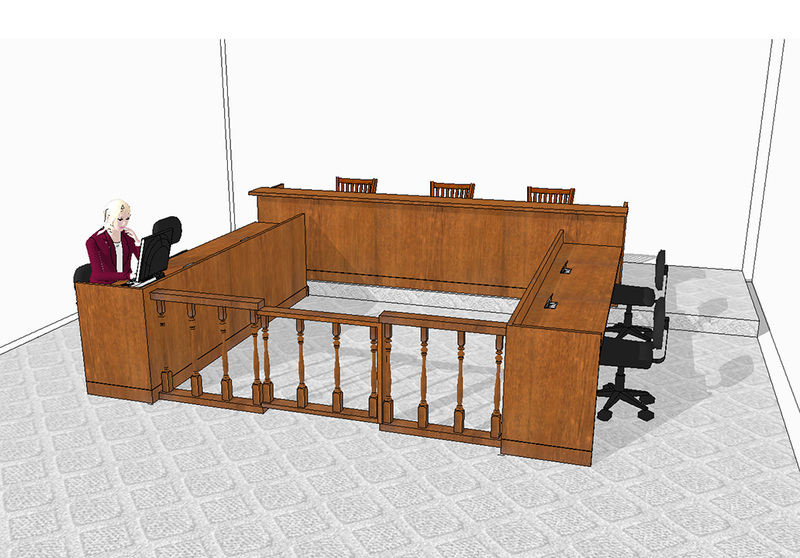 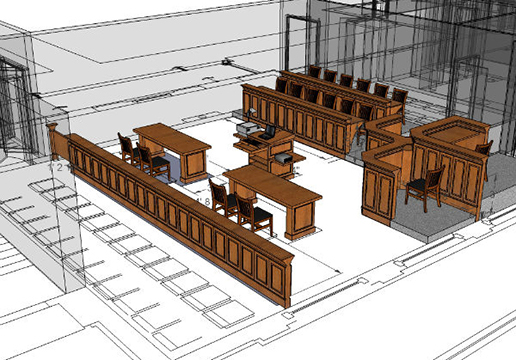 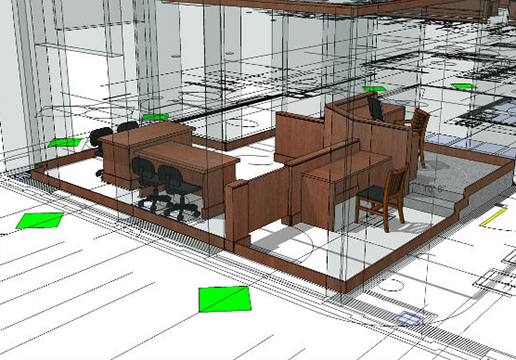 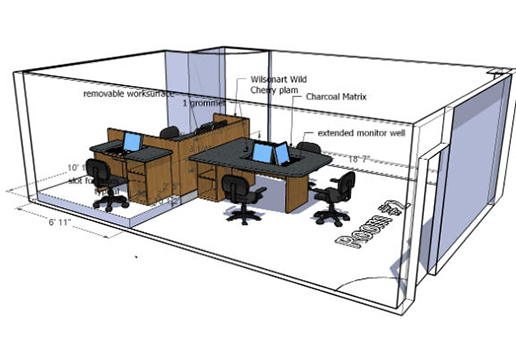 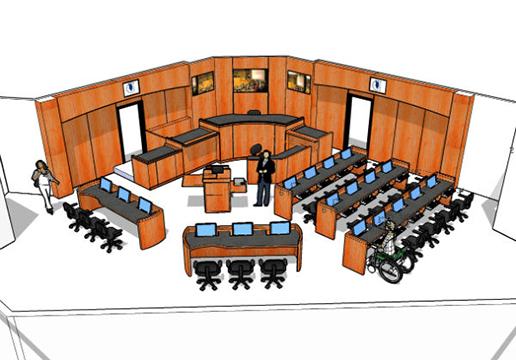 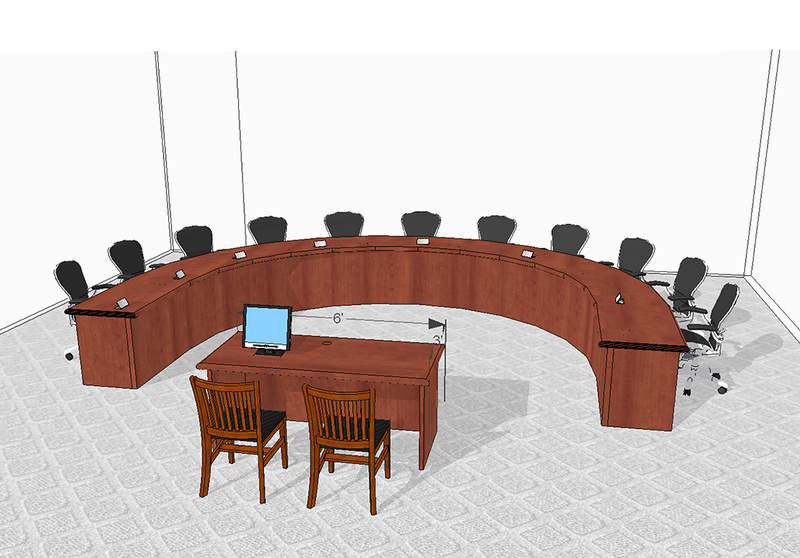 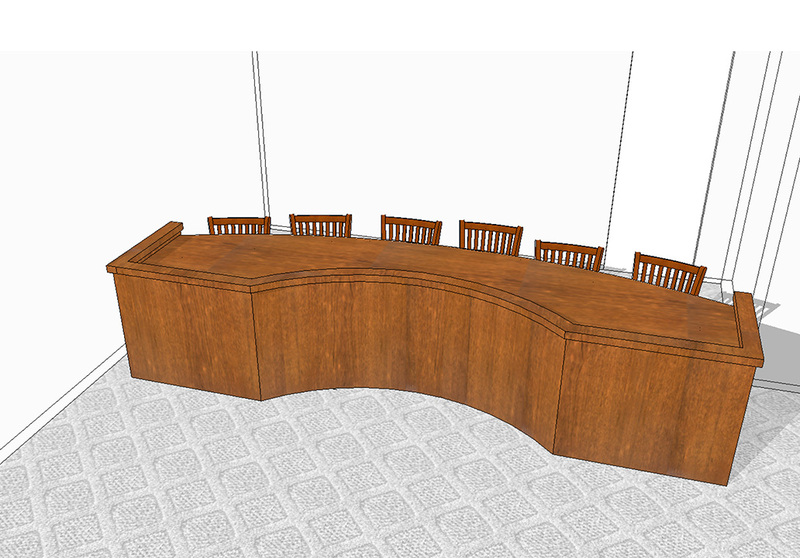 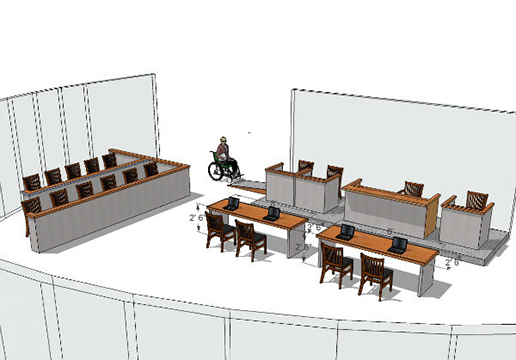 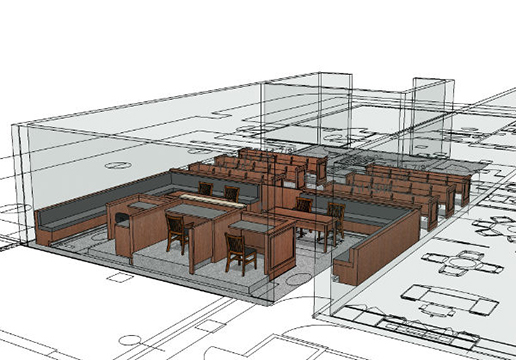 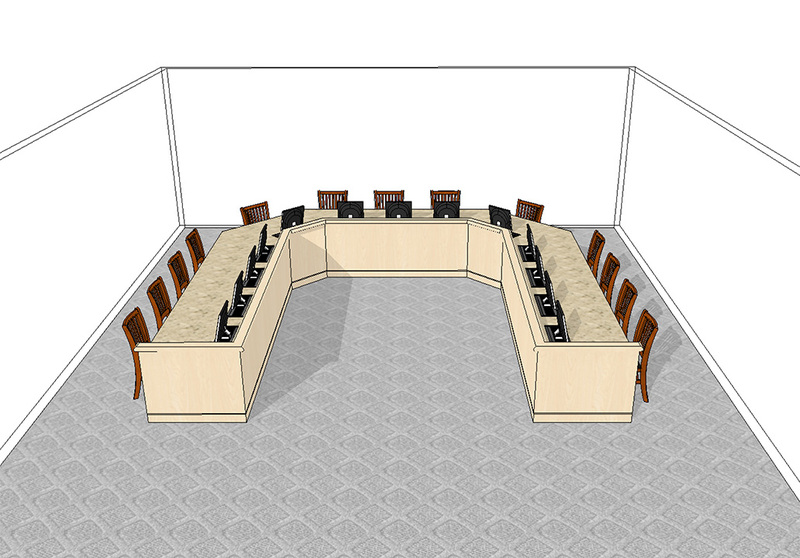 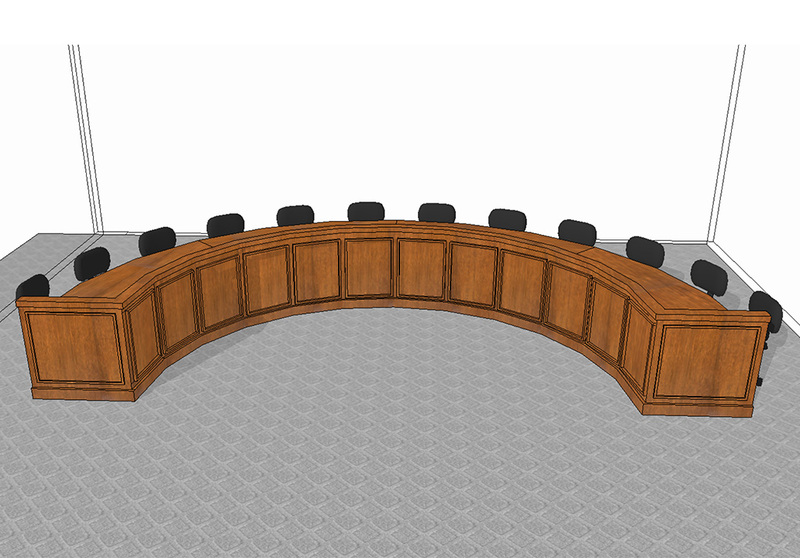 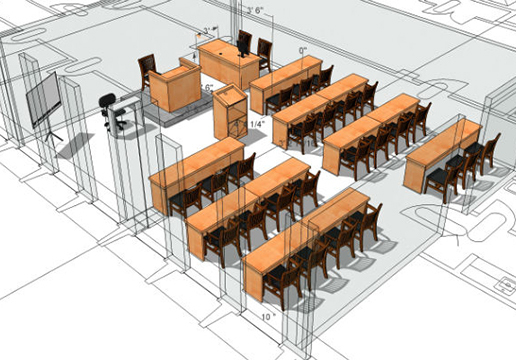 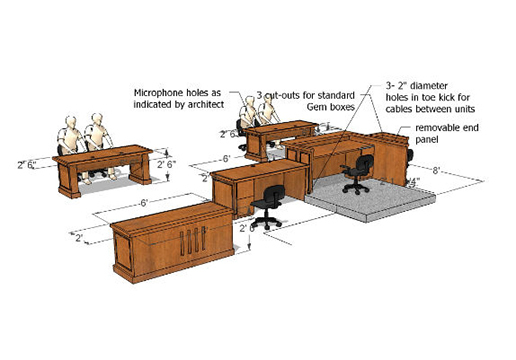 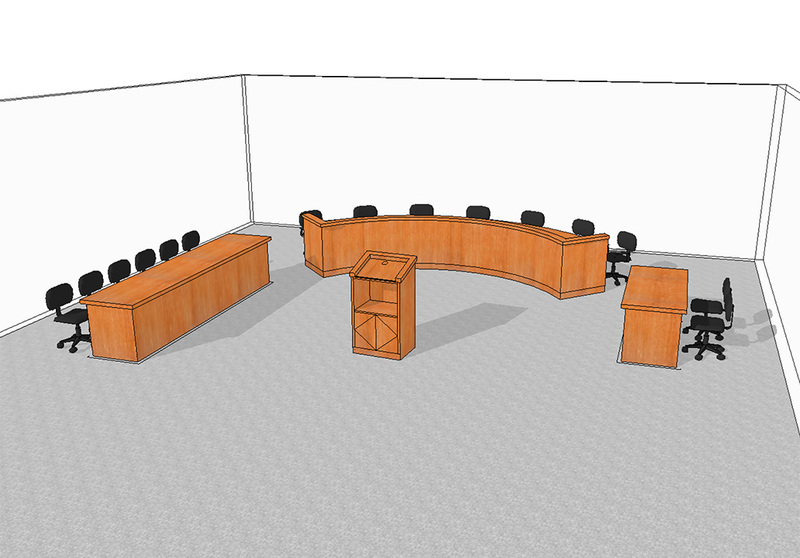 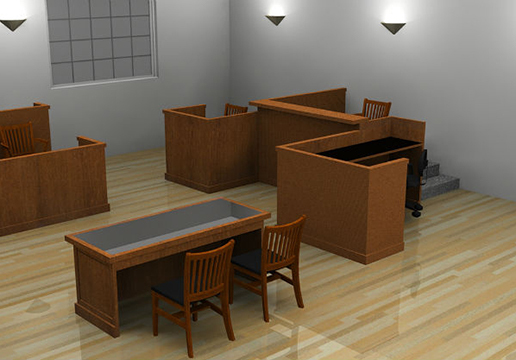 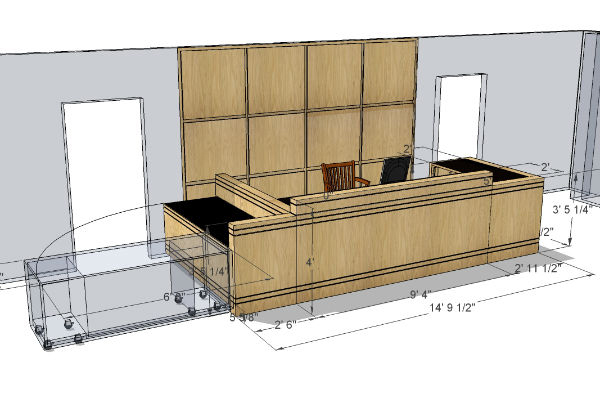 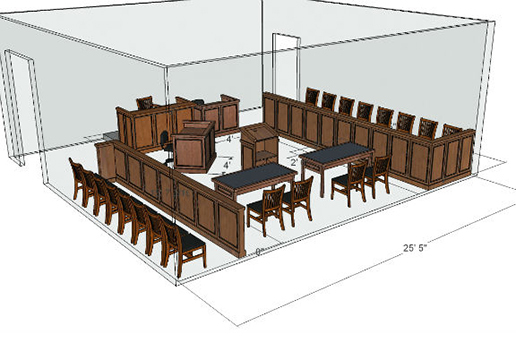 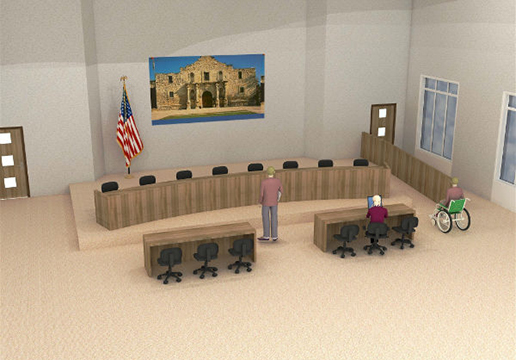 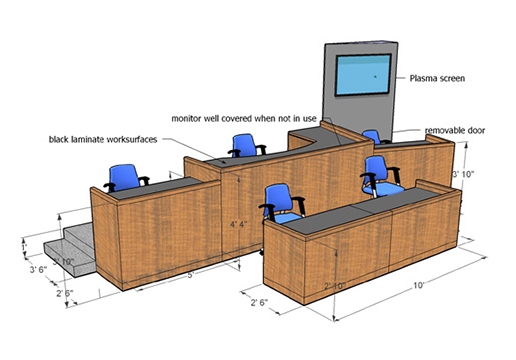 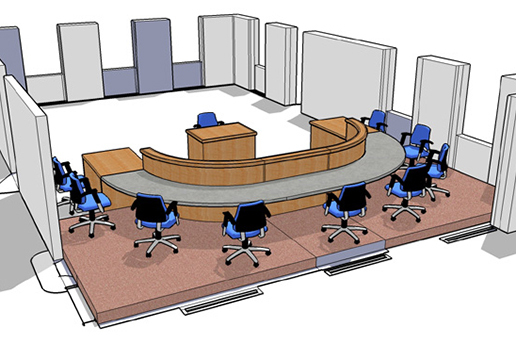 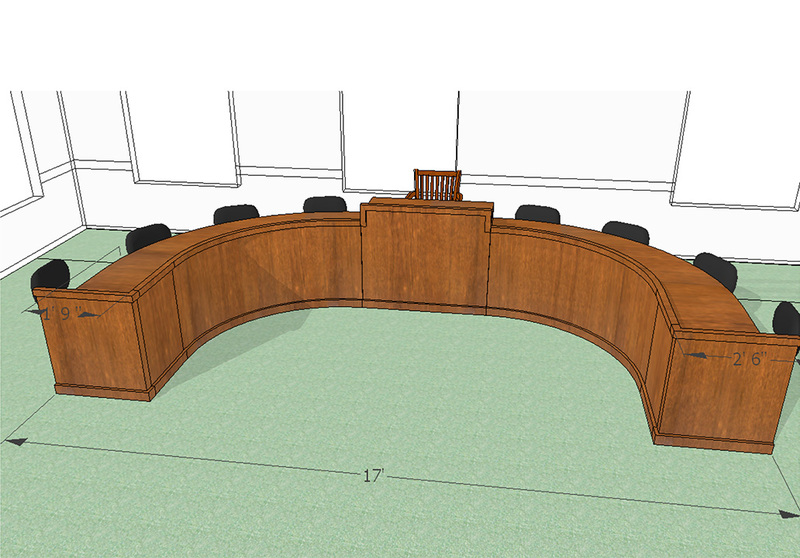 Quarter circle, high profile, contemporary style with separate attorney table, lectern, and Jury table, for multi-functional rooms. 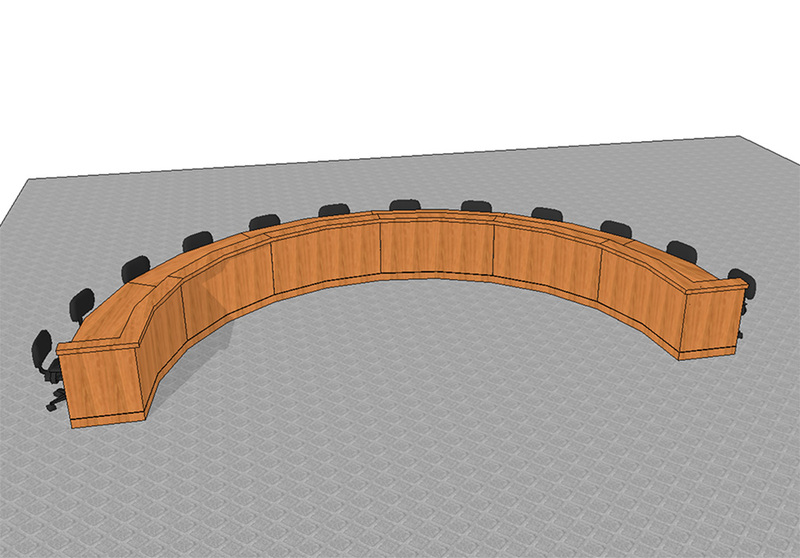 Semi circular footprint, contemporary style on platform, high profile. 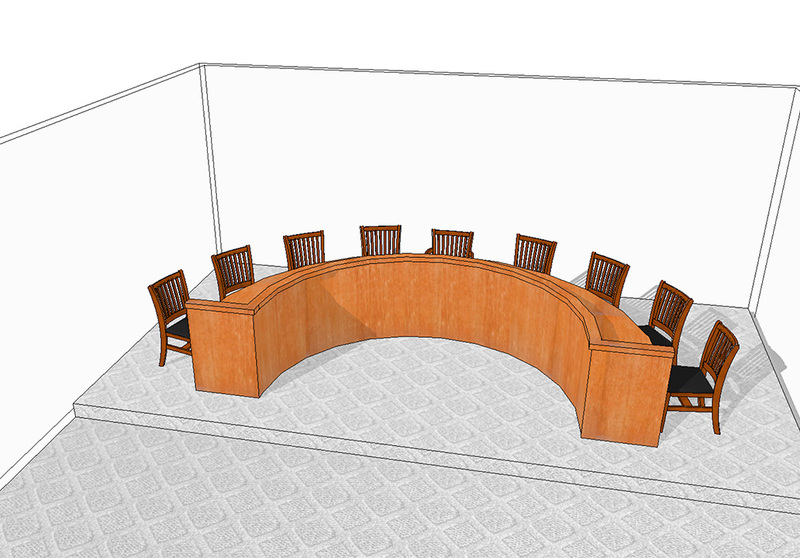 Semi circular, contemporary style, with straight extensions, low profile, with attorney table. 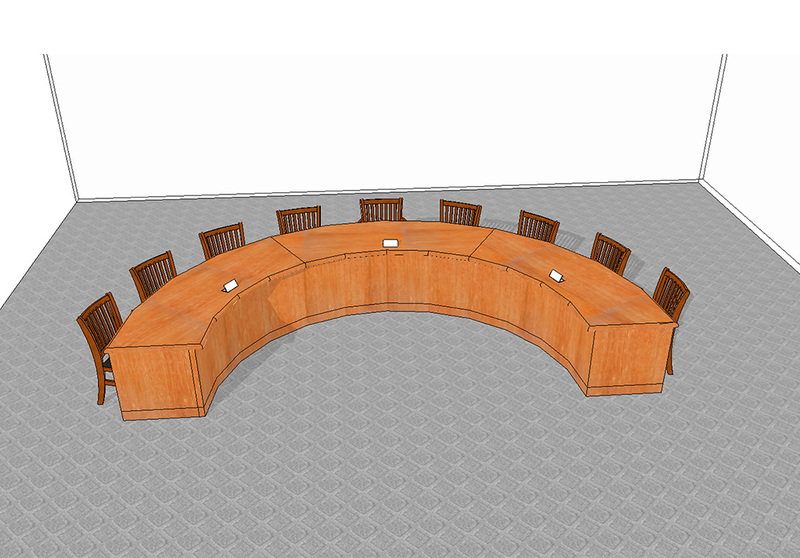 Semi circular, contemporary style, wood cap high profile, front vertical reveals. 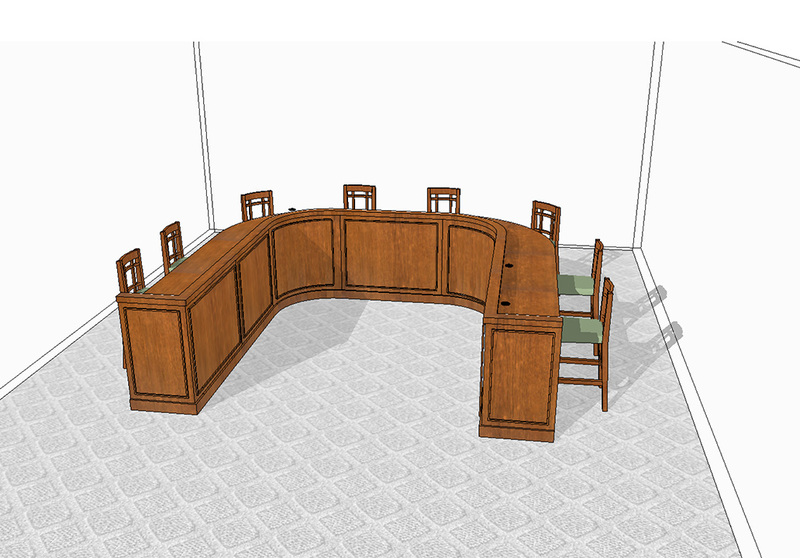 Semi circular, traditional style, high profile. 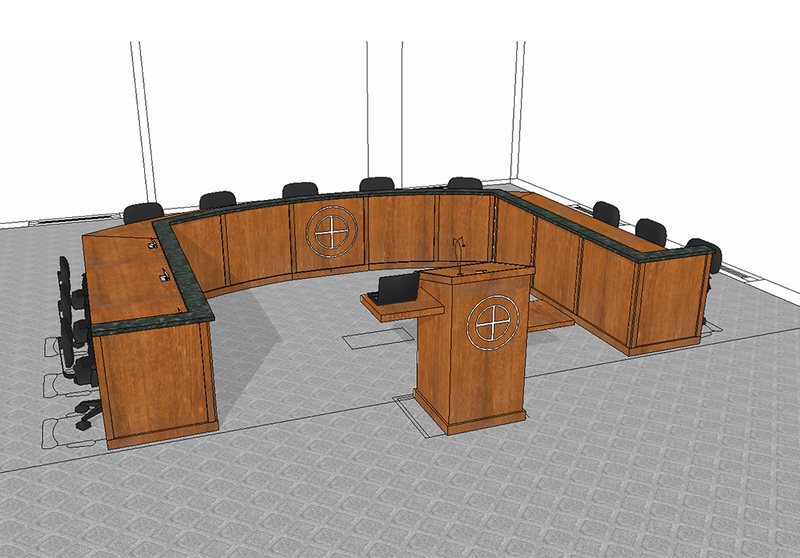 Horse shoe footprint with curved center section, Ascona style, granite cap, metal logo, multi media lectern. 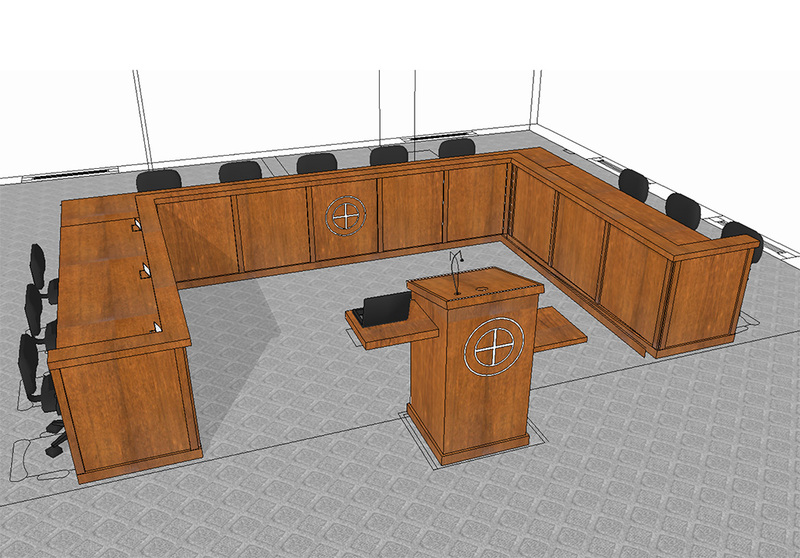 Horse shoe footprint with straight center section, Ascona style, wood cap, metal logo, multi media lectern.